Please see the more recent and updated article Baal Hatanya’s Zmanim Added to KosherJava Zmanim Library for more current information. How do I calculate the Baal Hatanya’s Zman for Shkiah as 4 minutes after sunset using the KosherJava Zmanim API? At some point in the future I may (doubtful) add this time to the API itself. The zman is not commonly used, and the Chabad calendars that I have seen all use regular sunset. Update on ‍‍July 5, 2015 – י״ח תמוז תשע״ה: This article was updated to clarify that the Baal Hatanya’s opinion may not be a fixed 4 minutes, but that the post was showing how to use the API to calculate it based on the questioner’s assumption that it was a 4 minute zman. Update on Dec 14, 2018 – ו׳ טבת תשע״ט: This article was superseded with the more recent and corrected article Baal Hatanya’s Zmanim Added to KosherJava Zmanim Library. The recently released Zmanim API 1.3.0 added Jewish calendar support to the API. Previously, the API had zmanim support, but no Jewish calendar support. While the calendar code is in beta mode and is subject to API changes, below are some simple code examples using the current 1.3.0 release. These examples of the use of the JewishCalendar and HebrewDateFormatter classes do not fully cover the functionality available in the Zmanim API. Please read the JavaDocs and experiment. Please let me know if there are any calendar related items that you feel should change or be added to the API. Please note that the parsha will only input if the date is a Shabbos. This is something that may change down the line. System.out.println(hdf.format(jd)); //output current formatted date "13 Nissan, 5773"
System.out.println(daf.getMasechtaTransliterated()); //outout transliterated masechta name "Eruvin"
System.out.println(daf.getDaf()); //output current daf (page) number "16"
System.out.println(hdf.formatDafYomiBavli(daf)); //outout the formatted date "Eruvin 16"
System.out.println(hdf.format(jd)); //output date in Hebrew "י״ג ניסן תשע״ג"
System.out.println(daf.getMasechta()); // output masechta name in Hebrew "עירובין"
System.out.println(hdf.formatHebrewNumber(daf.getDaf()));//output the daf number formatted in Hebrew "ט״ז"
System.out.println(hdf.formatDafYomiBavli(daf)); //output daf and masechta in Hebrew "עירובין ט״ז"
Note, that there is no simple way at this point to output just Chanukah. This will likely change in the future to match Chanukah to the behavior of other Yomim Tovim. According to almost all opinions, the Halachic Date Line is not determined by what the locals call “Saturday” and therefore, the fact that Samoa changes the date line does not change when we keep Shabbos. As far as I know, until this point, there has not been a very exact map allowing one to determine with clarity the exact parts of the world affected by the Halachic Date Line. As an example see Rabbi Yisroel Taplin’s sefer Taarich Yisrael תאריך ישראל for a discussion about possibly not visiting the Philippines due to questions about the exact location of the date line. With the introduction of the Halachic Date Line Map such ambiguities can be laid to rest since users can zoom in to find the exact locations of various opinions on the map (see the map partially zoomed in to the Philippines for example). The Chazon Ish quoting the Kuzari and the Baal Hamaor who state that the date line is 90° east of the Har Habayis. 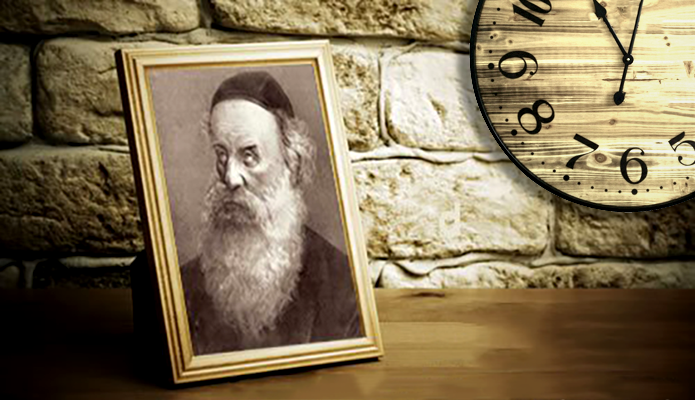 Rabbi Yechiel Michel Tucazinsky (author of the Gesher Hachaim) who wrote the היומם בכדור הארץ Hayomam Bekadur Haaretz stating his opinion that the date line is 180° east (or west) of Har Habayis. Among those agreeing with this opinion is Rabbi Elyashiv. Since this line is exactly halfway around the world from Yerushalayim, a person on different sides of this line will face different directions when davening (using the rhumb line method). A person located west of the line will daven westward, and a person east of the line will daven eastwards. See the Bearing to Yerushalayim Map for a location along this line (the green line). Click on the blue pushpin in the map (below the green line) for additional information on the antipodal point of the Har Habayis. Rabbi Menachem Mendel Kasher in his קו התאריך הישראלי Kav Hattarich Hayisraeli is of the opinion that the International Date Line is used. Among those agreeing with this opinion was Rabbi Isser Zalman Meltzer. The locations of the three lines are mostly over the Pacific Ocean, but in some places the lines intersect dry land. Examples of this are Russia, Korea and Australia that are split by the Kuzary and Baal Hamaor’s line (see the map above). The Chazon Ish brings the opinion of the Yesod Olam (a disciple of the Rosh) that when the line intersects dry land, the line is extended eastward (or on occasion westward according to the 180° opinion). This extension is referred to as “Graira”, where the land to the west “drags” the land it is attached to, to within the line. In the map, both the 90° (Chazon Ish) and 180° (Rabbi Tucazinsky) lines are measured from Har Habayis. Specifically the measurements in the map are from the center of the Dome of the Rock. This is the location of the Kodesh Kodashim according to the Radvaz. According to the Radak the center of the Dome of the Rock is the location of the Mizbeach, and the Kodesh Kodashim is 101 amos (about 54 meters / 180 feet) west of this point. According to the Radak the International Date Line would be 101 amos west of the lines in the map. The Halachic Date Line Map works like any other Google Map. You can zoom into any area to see a close-up. Clicking on the lines and shaded in “Graira” areas will provide some details about it. The map will show a very clear and exact position of the Halachic Date Line according to different halachic opinions. Tahania Atoll, a small atoll in French Polynesia that is intersected by Rabbi Tucazinsky’s line. To the south of this point is the island of Rapa Iti. There is an interesting Halachic phenomenon at this location with Kiddush Levana in December 2027. See Rabbi Heber’s Sefer Shaarei Zemanim שערי זמנים. Rabbi Heber graciously allowed me to post סימן ד׳ – קונטרס זמן קידוש לבנה of the Shaarei Zemanim here. The discussion of Kiddush Levana on Rapa Iti appears on page 14 of the pdf which is page 32 in the sefer. The Wrangell Mountain Homestead in Alaska, along the Edgerton Highway between Kenny Lake, and Chitina seems to be the only inhabited place that is that is intersected by Rabbi Tucazinsky’s line. The line cuts through what seems to be a barn. Thank you Rabbi Heber for this interesting observation. Ikema Island is intersected by the Baal Hamaor’s line. According to the Chazon Ish “Graira” covers the entire Ikema Island, but would not (according to Rabbi Dovid Heber of the Star-K) extend over the bridge to Miyakojima Island. The line of the Baal Hamaor runs through Changchun, China a city of 7 million. According to the Chazon Ish, “Graira” would mean the line does not split the city. Are islands on Lake Argyle, a 100 miles inland but with a river leading to the ocean included in Graira using the Chazon Ish’s line? According to Rabbi Heber the river would “not ruin graira”, and such islands would be included. Would you say the same thing for French and Phillip Islands near Melbourne, Australia? Rabbi Heber is of the opinion that one should be machmir on these islands. Clarity about exactly what parts of the Philippines are on the other side of the date line. Some say it is better not to travel to the Philippines due to questions of the placement of the Baal Hamaor/Chazon Ish line, but the date line map clarifies any ambiguities about this part of the world. 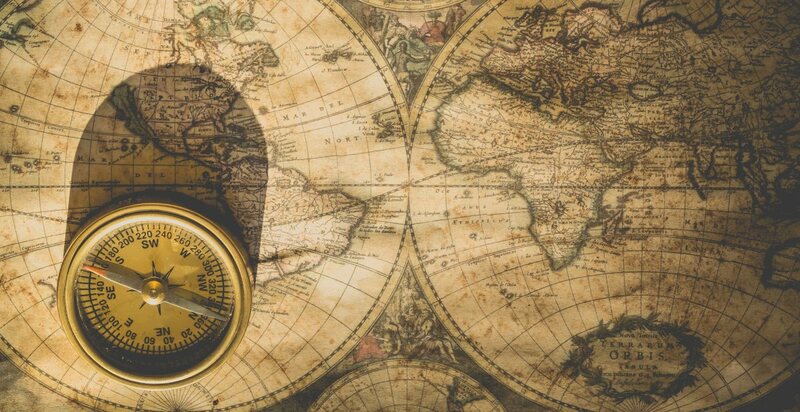 A Traveler’s Guide To The International Date Line by Rabbi Dovid Heber. The International Date Line and Related Issues by David Pahmer. I would like to thank Rabbi Dovid Heber for the input and assistance in preparing this post.